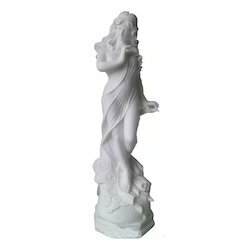 Beautifully Carved White Stone Elephant offered comprise exclusive crafted finish in white stone coming in enchanting crafted designs that enhance its decor and presentation value. Available in option of different sizes to choose from, these can also be made available in various styles, finish and design options to pick from. With immense market knowledge, we have been able to provide optimum quality Royal Elephant Statue. This marvelous piece of art is designed by nimble-fingered craftsmen who ensure every piece to be properly carved and finished. It can be availed at competitive pricing. Attractive and beautiful Soapstone Undecut Egg are manufactured and export by us and to fulfill the requirements of our clients, we present these product in different sizes. We are the leading manufacturers and suppliers of the Stone Under Cut Camel. Our old craftmanship with new tech make us the valuable and famous supplier of Atone animal crafts. We are engaged in offering a quality approved array of Animal Figure. 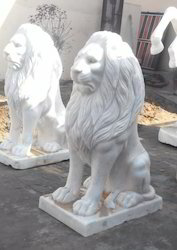 The Animal Figure we offer is widely demanded amongst the clients for its availability in various sizes and designs. These products are able to enhance the decoration of the place. Moreover, these products are made by using quality material. We are a leading manufacturer of Undercut Animals that are used to add elegance and charm to the interior of homes and offices. Offered at industry leading price, our alluring range is available in shape of every animal. These are best in quality, durable and in conformity with latest trends in the market. Further, these can be customized as per the aesthetic tastes of our clients.